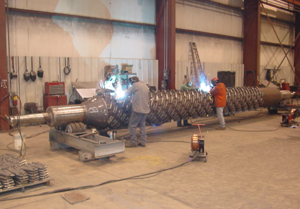 IRONHEAD Fabricating Inc. is a diverse metal fabricator providing services to the power generation, petroleum, engineering, air pollution control, industrial furnace, structural steel and material handling equipment industries. 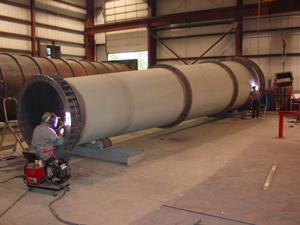 Employing union Boilermakers, IRONHEAD safely executes quality demanding and scheduling critical projects. IRONHEAD Fabricating Inc. is located in Toledo, OH on the Maumee River. IRONHEAD is centrally located in the United States and logistically positioned to complete a diverse array of fabrications and provide competitive priced deliveries by truck, rail or sea. IRONHEAD Fabricating Inc. pursues long-term customer relationships and emphasizes safety and quality with written safety and quality manuals. 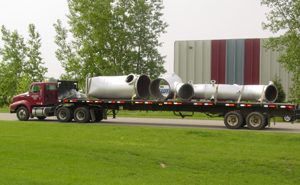 With its immensely experienced team of fabrication professionals and a superb network of engineering, detailing, machining, heat treating and galvanizing suppliers, IRONHEAD Fabricating Inc. is committed to providing the best fabrication services available and greatly appreciates any project inquiries.